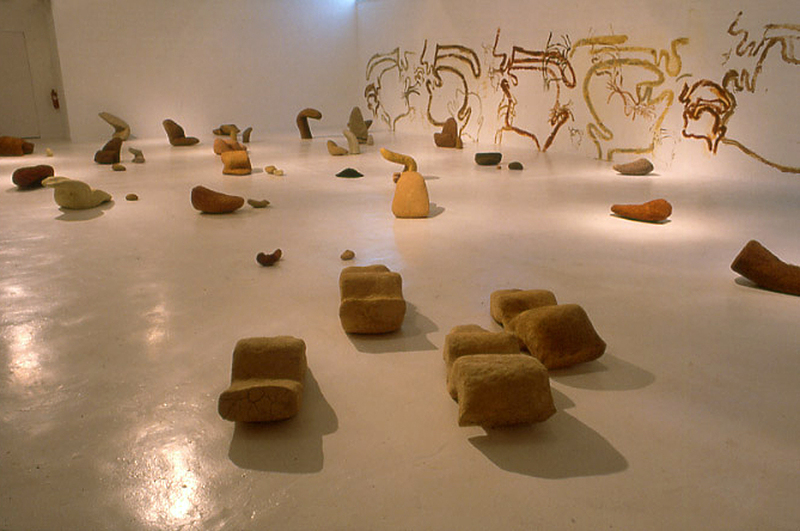 Native Tongues was a sound, sculpture and drawing installation that took place at the Miro foundation in Barcelona in 1997. 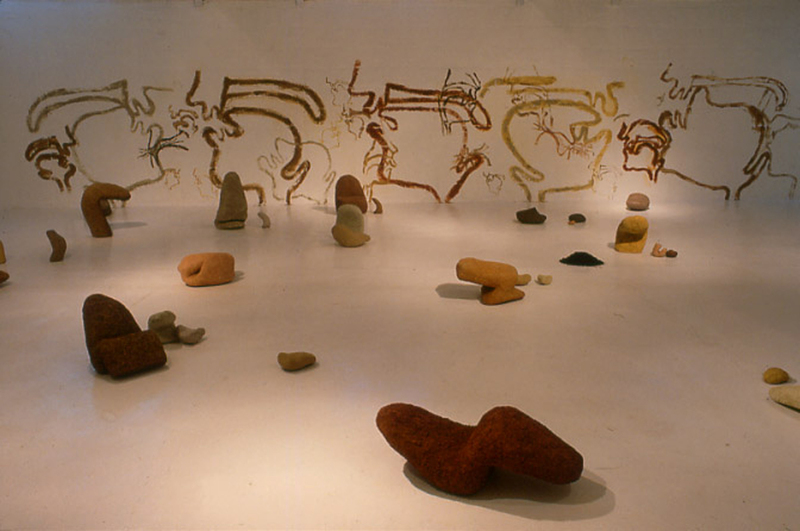 It gave me the opportunity to explore relationships between speech, language and soil. In Catalonia, where the Catalan language was officially silenced for much of this century, language is fraught with issues of homeland, territory and power. Within this context, I wanted to underline the corporeality of speech–to see language as an event of mind and body. For this project I listened to the sounds of the Castillian (Spanish) and Catalan languages, and then imagined the shapes of the Tounges that would speak these sounds. I then made the Tounges from soils I collected in Spain–the Castillian Tounges from soils from central Spain, the Catalan Tounges from the soils of Catalonia. 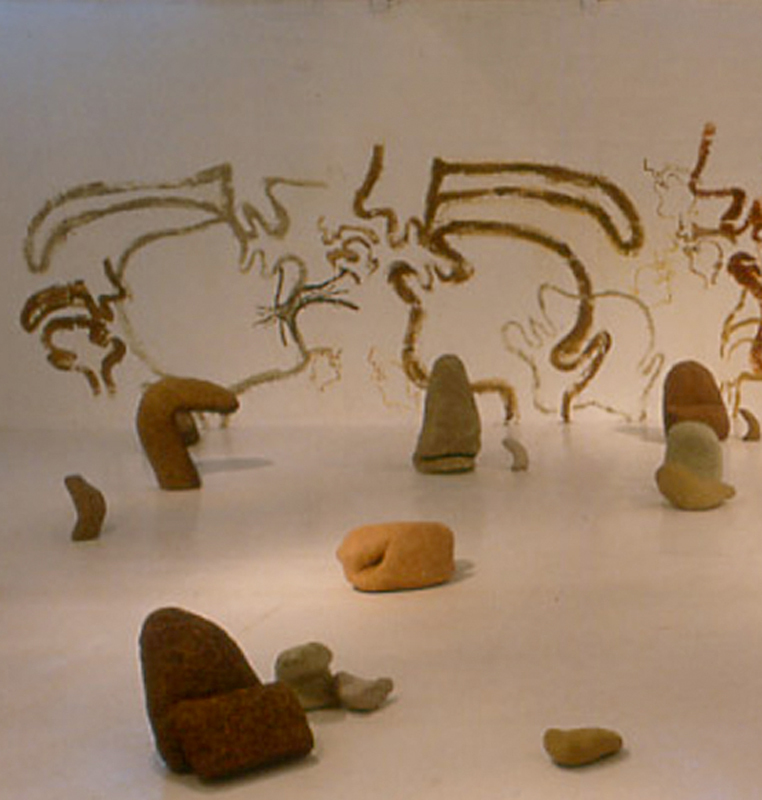 The fifty foot wall drawing was made from these same soils and is based on phonetics diagrams that map where the tongue is placed to make specific sounds. I was drawn to these diagrams because they look so much like maps of estuaries. 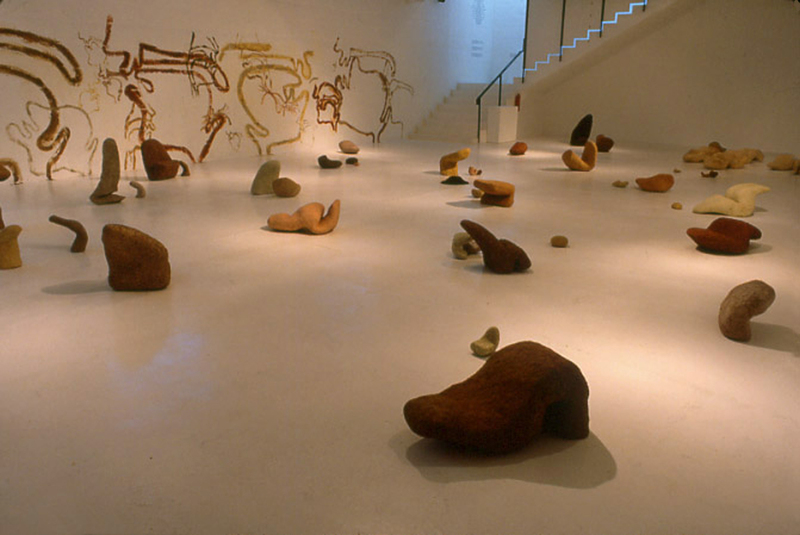 The installation also included two sound tracks. From near the ground one heard the layered voices of many conversations being spoken in various dialects and accents of Spanish and Catalan. In counterpoint to this, high in the room, were two very formal male voices speaking basic words, first in one language, then in the other.